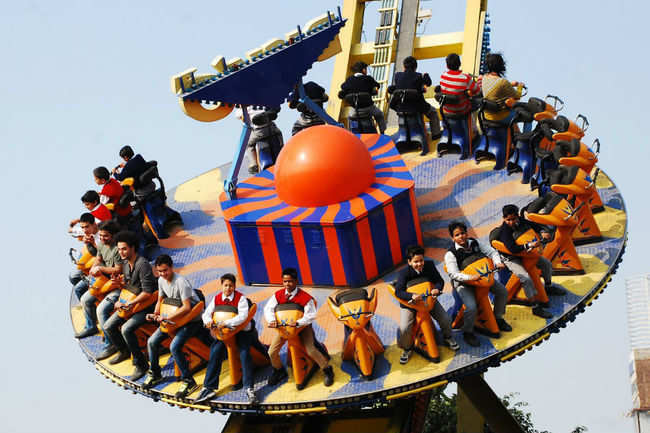 There are plenty of options when it comes to amusement parks in Delhi and the entire NCR area. Metro connectivity is quite commendable in Delhi, while bus, auto, and app cabs are always handy, but unlike metro, they are susceptible to traffic. 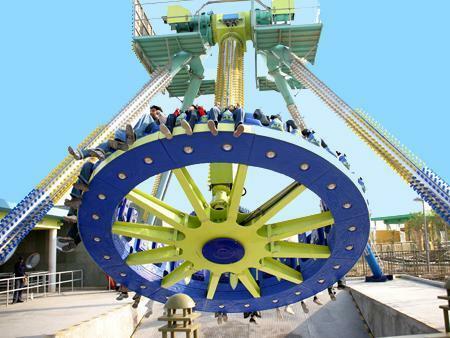 A venture of Entertainment City Limited, it is one of the biggest amusement parks of the continent, studded with around 20 operational rides, with further additions on the cards. Operating since 2007, it has expanded with time, presently being a popular entertainment destination for kids and grown-ups alike. The park is divided into 2 sections, the La Fiesta or the Family Zone, and the Teen Zone. There is an operating water park along with an upcoming kart. The nearest metro station is the Noida Sector 18, from where you can walk to the park. When coming by car or cab, take either the Mahatma Gandhi Marg or NH 44. It would take around one and a half hour to reach. Buses like 53A, 47A, 473 offer regular service from places like New Friends Colony, Boombox Café, and V3S Mall. 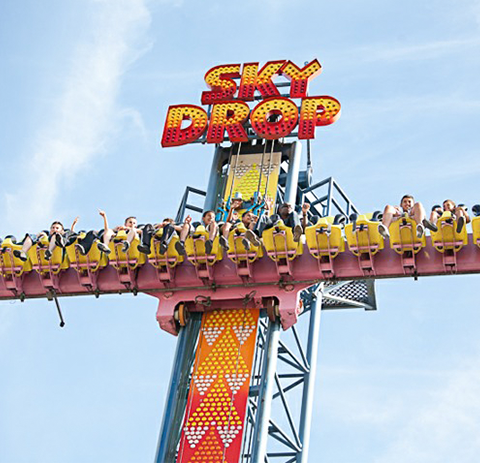 Top spin rides like ‘Mega Disco’, a free-fall ride ‘Download’, car rides like ‘Chart Smashers’ and ‘Loco-Motion’, as well as other rides like Bull Ride, Jumper, Dizzy Dina are there. As it is not possible to cover all rides in a day, it is better to go for about 7-8 rides that suits you most. If you still have time, you can explore some more. 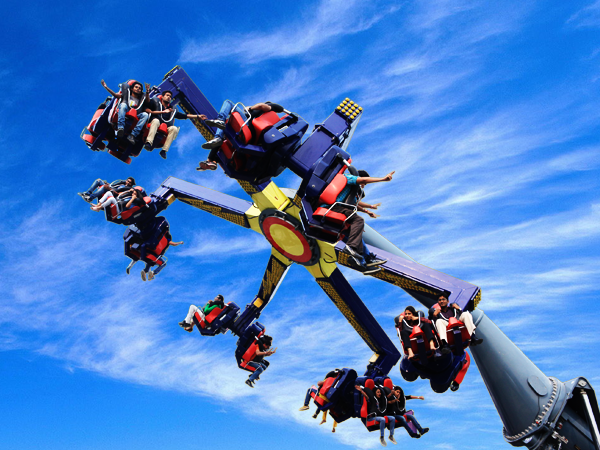 You can buy separate tickets for the amusement and water parks, or go for combined packages (known as Super Save Tickets). All tickets are inclusive of both entry fee and the rides. There is a passport ticketing that offers unlimited entry and rides throughout a year. Booking the tickets online is better so you can avoid standing in a long queue. There are some reasonably priced food stalls. For water parks, either carry some nylon or lycra clothing or rent them from the park. Locker systems are also there. The cleanliness of water might be an issue at times, especially during the holiday seasons. 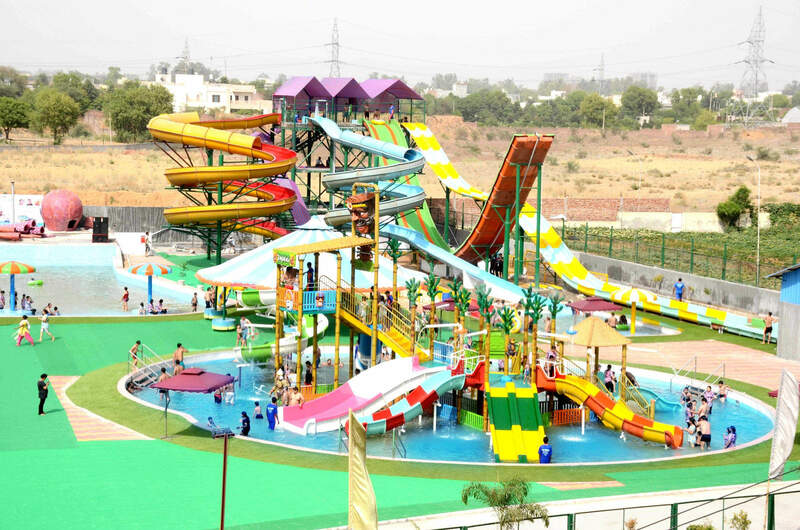 Founded in 1993, this water park holds the record of housing the longest water tunnel of Delhi. There are 21 amusement rides and 22 water rides. The park is also one of the oldest in Delhi. Located on the Old Delhi Gurgaon Road, it is well connected by both bus and auto. The nearest metro stations are Guru Dronacharya in yellow line and Dwarka Sector 21 in the blue line. Kids may try toy trains like the ‘Mayur Train’, ‘Caterpillar Ride’, and vertical swing like ‘Magic Swing’, while adults can join in for the Ferris wheel. 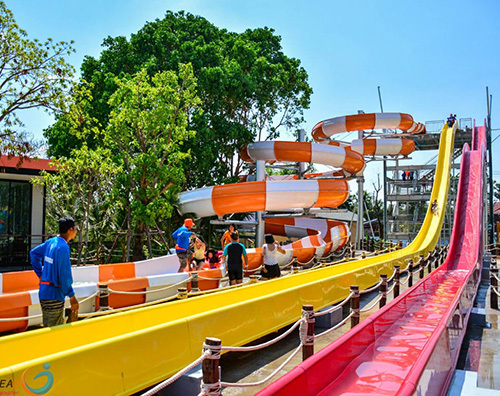 The water rides (‘Wave Pool’, ‘Action River’, ‘Water Slides’, and ‘Speed Coaster’), however, lack frequent maintenance, so ride carefully (though there are no recent accidents or incidents). There is a restaurant within the premises where snacks, beverages, and complete meals are available. 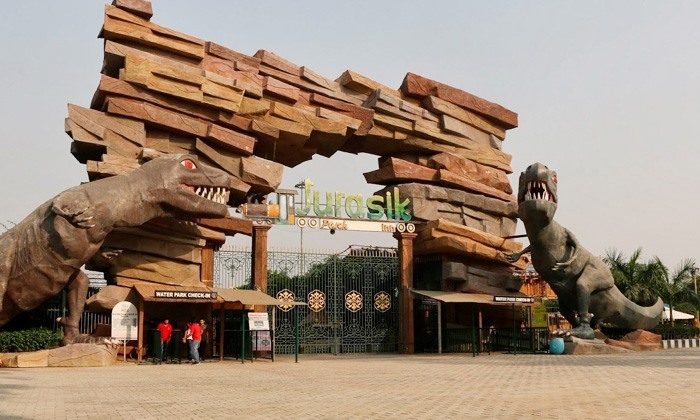 Located in New Delhi, the park has fun rides, water rides, and retail outlets all within its premises. The vast area of 62 acres offers around 25 rides. Rithala Metro Station is the nearest one, from there it’s a 5-10 minutes’ walk. If traveling in a car, come via Rammurti Passi Marg to reach the park. 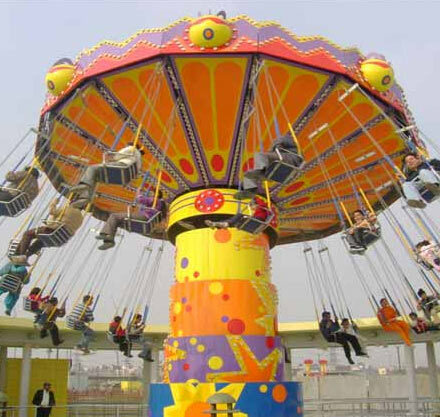 Depending on the availability of the rides (as not all rides are not operational due to lack of maintenance) kids can engage in merry-go-round rides, air pogo, bungee trampoline, and bumper cars, while adults can go for vertical swings and wall climbing. 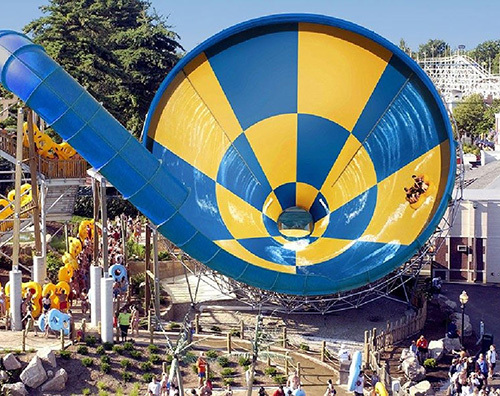 Mentionable water rides include ‘Amazon Mist Forest’, ‘Splash Pool’, and ‘Splash Dunk’. You may also visit the Metro Walk, where you will find apparels and accessory stores along with restaurants. There is a 2D theater as well, where regular education-entertainment shows are held. Entry tickets range from Rs 250-350. 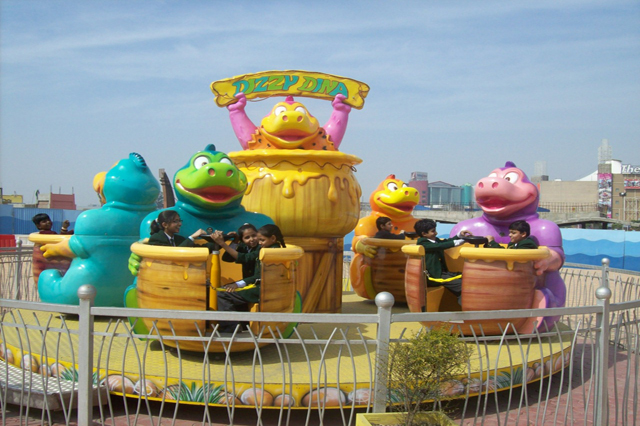 Each ride has individual tickets, costing between Rs.50 and Rs.100. If you go during the Happy Hours (05:00 pm onwards), the entry fee will be inclusive of all rides. However, the park is not known for its inner facilities like a locker, and first-aid. So, if you are looking for some amusement parks to spend a day with kids, this might not be on the top of your list. 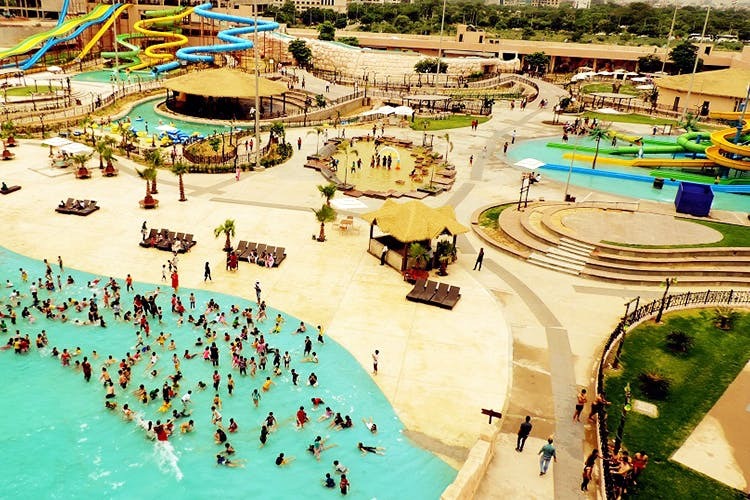 Located on the Yamuna waterfront, this water park is the largest in Delhi, housing more than 20 rides. The Delhi Eye, a large Ferris wheel, was situated at the same spot before the park was built. It is just a few minutes’ walk from Kalindi Kunj Metro Station. Water sliding like the ‘Tornado’, ‘Storm Eye’, and ‘Waver Attack’ are quite popular, while for having some pool time go for ‘Baby Cool’ and the ‘Family Pool’. Tickets are inclusive of all rides; for adults, it is within a range of Rs 750-1000 per person and for a child, tickets are within Rs 500-600. Outside food is not allowed; there is a food court inside the park, offering a multi-cuisine menu. The locker rooms are fortified with Radio Frequency Identification. Wheelchair-bound people can also access the park as all the special facilities are provided. The water park is not very spacious and sometimes (especially during summer), it accommodates more people than it can actually cater to. As a result, the water gets dirty frequently. 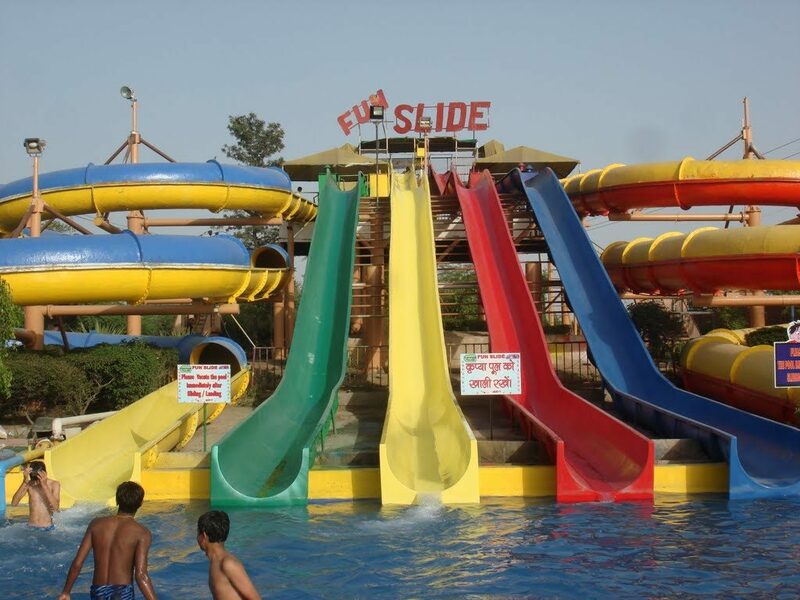 This theme park in Sonipat, Haryana focuses on adventure rides and water slides for all age groups. 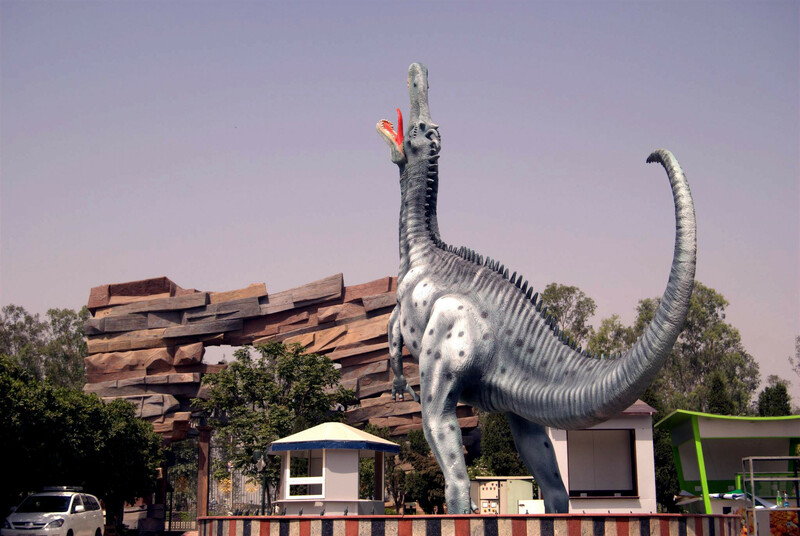 There are multiple life-size dinosaur statues at the entrance and within the park. The Park on G-T Karnal Road, NH 1 is easily accessible by public transports, app cabs, and other private cars. There are many exciting activities for adults, like the ‘Burma bridge’ (rope walking), ‘plank bridge’, ‘rope ladder’, and ‘zorbing ball’. Kids can engage in the merry-go-round, ‘Cup-Plate’, ‘Baby Train’, and so on. Adventure lovers can opt for Go-Karting (kart race on a track), and zip line rides. There is a 7D Theater, hosting regular shows as well. The go karting and zip line are to be paid separately (Rs 100 per head for each). Also, different charges are applied for video games and the 7D Theater. Locker rooms (charged Rs 80) and swimming costumes (charged Rs 60) are available for rent. The security system is average. Most people find this park good for a one-time visit only. 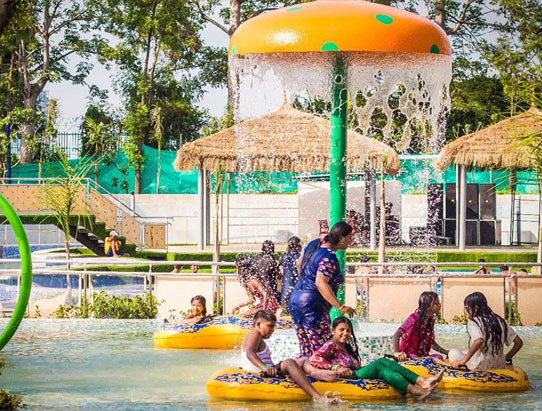 Studded with 15 water rides, this is also known as Oysters Water Park. 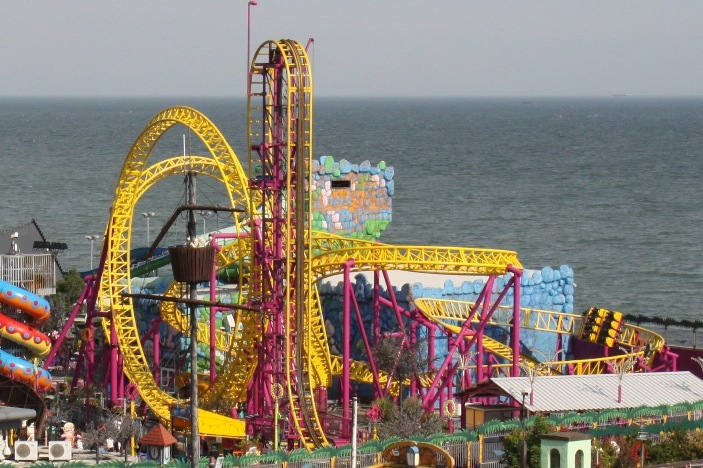 The oldest amusement park of India, it covers a total area of about 10 acres. The place is a maximum of 5-minute walk from HUDA City Centre Metro Station. You can also come in a car via the Appu Ghar Marg. The 90-feet long slide ‘Skyfall’ is the prime attraction here. 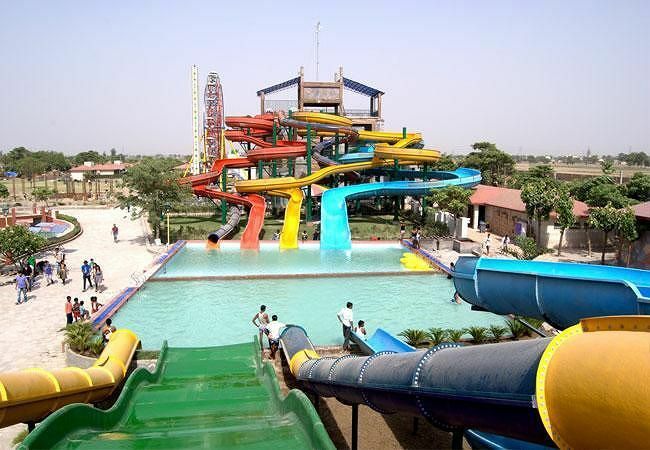 ‘Oh My Gurgaon’ is another loop ride, and there are thrilling water rides as well, like the ‘Pirate Station’, and ‘Crazy River’. There is also a spa within the park. You may try food from the Low Tide Restaurant, situated in the middle of an artificial pool, or from the Crazy River Food Court, or High Tide Deck. The restaurants here often offer buffet menus, but ordering individually might be reasonable, as there are usually not many items in the buffet. Tickets are around Rs 500 for children and Rs 1000-1200 for adults. The water park is quite safe and clean, with lots of lifeguards always on duty. Located at a convenient location on the Main GT Karnal Road, this park in North Delhi offers multiple water rides. Supervised by the Sagu Dreamland Private Limited, the park is also a popular venue for domestic and commercial parties. It is easily accessible by bus, app cabs, and autos from anywhere in the city. There are pools with waterfalls like the ‘Mushroom Fall’, and ‘Buddha Water Fall’, while the park also offers rides and activities like carrousel and bumping and striking cars. There is a food court in the park. The Park is open from the 1st of March to 10th of December from 10:00 am-07:00 pm; water rides are accessible from 10:00 am-05:00 pm and amusement rides are accessible from 05:00 pm-07:00 pm. Since it is mandatory to wear swimsuits in the water park, either carry them or rent from the park at reasonable rates. As described, most of the parks are divided into two sections. While one part highlights water rides, the other part is all about exciting land rides. All the parks are more or less family-friendly where you can enjoy a fun-filled day with your whole family, or group of friends.